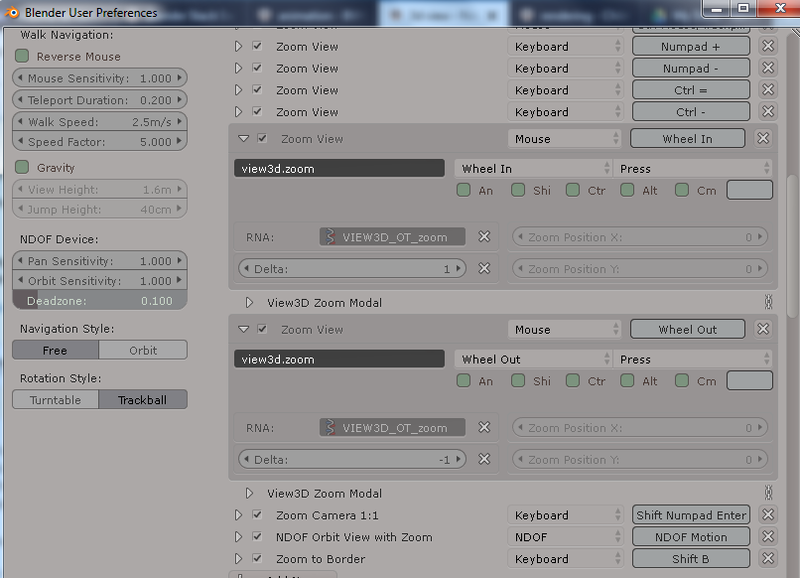 This is very annoying, I want to be able to pan and rotate to move around in 3d space when I use left m-button. And what is this marker for actually? At the bottom of the window there's a button: "Import Key Configuration". Point to the file you downloaded on (1). 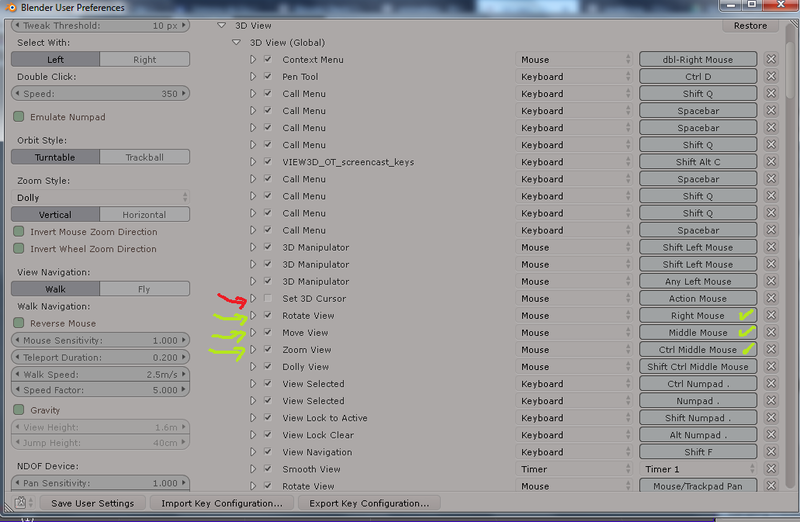 To use the Middle Mouse button (MMB) to Rotate around the view and move (drag) etc... check this out; The cursor is deactivated. It will TOTALLY get in your way now that you´re beginning to use the software. Not the answer you're looking for? Browse other questions tagged 3d-view or ask your own question. Navigate normally from camera perspective? Is there a way to rotate and pan view while in knife tool and other tools that lock the view ports?